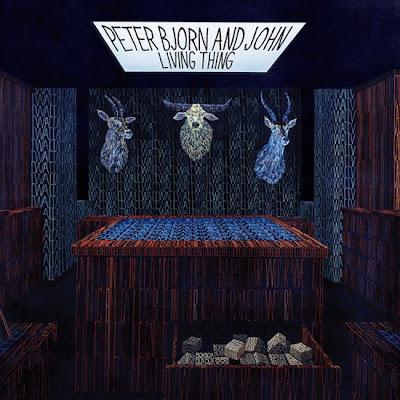 Peter, Bjorn & John's new album 'Living Thing' is set for release March 31st. I haven't heard the whole thing yet, only heard 'Nothing to Worry About' and 'Lay it Down' from the video Chris posted last month but I like what I've heard so far! Here is artwork for the new album, plus the tracklisting and MP3 for 'Nothing to Worry About'. Soo much new music coming out right now, I'm loving it!